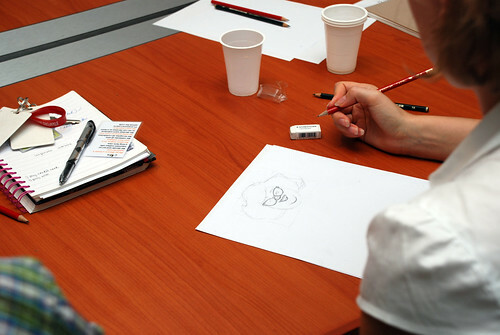 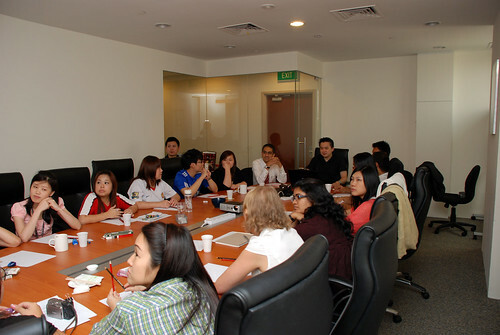 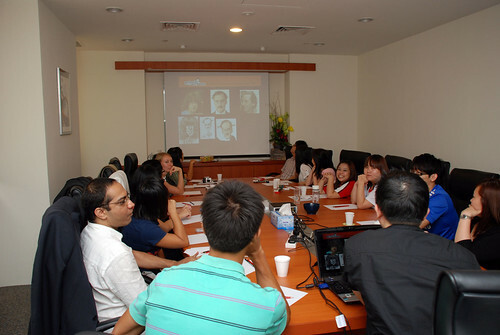 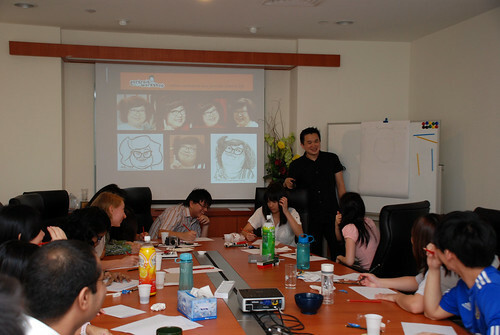 A 3-hour workshop (2pm - 5pm) for Spire staff enrichment course. 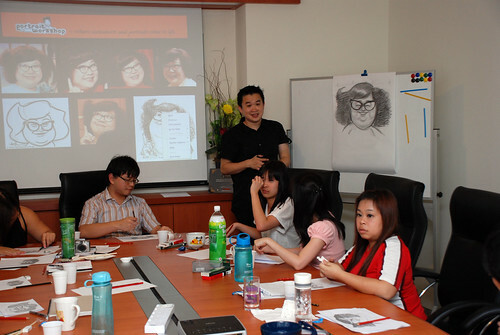 A much longer duration than previous 2 workshops of 1 hour each for AIA and The British Club, which I can teach them more on the basic and illustrate more caricature examples. 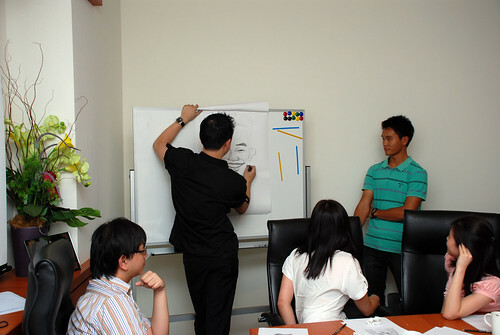 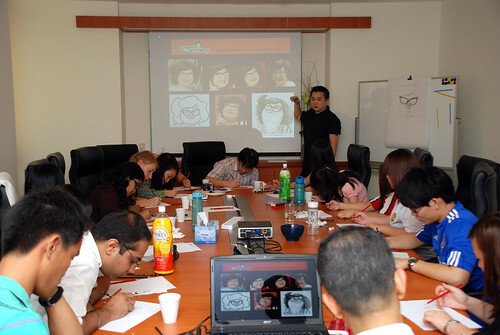 Demonstration and step-by-step hands on drawing session, after teaching them how to identify the unique features of each face based on the weightage. 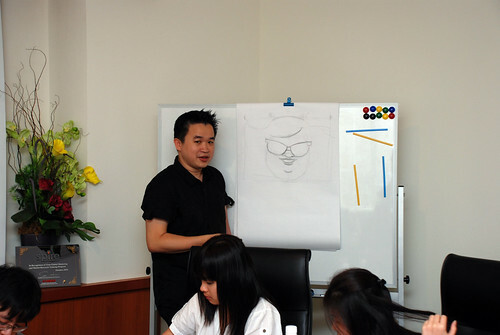 Before the form and shapes were finalized, I went around to guide them, to ensure that they were on the right track. 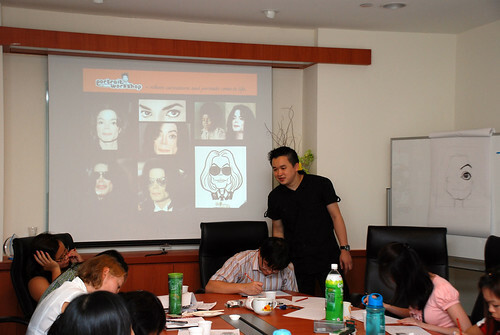 I was quite surprised that they can understand what I taught and draw pretty well when almost all of them (except one) have no experience in drawing. 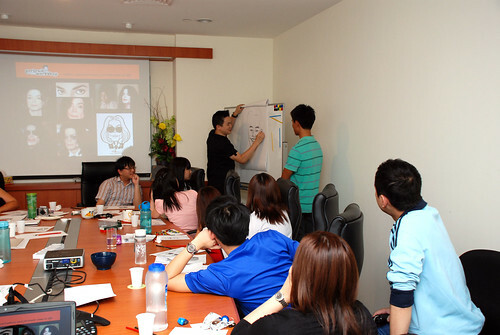 This was not seen in previous 2 workshops. 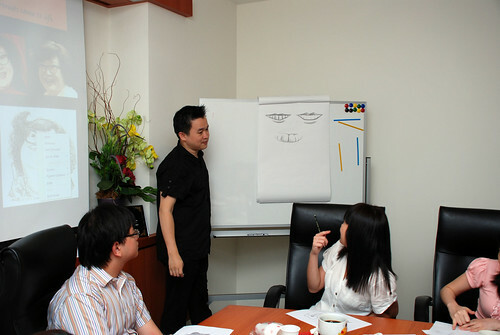 I taught them how minor tweaks in the smiles can gives different expression. 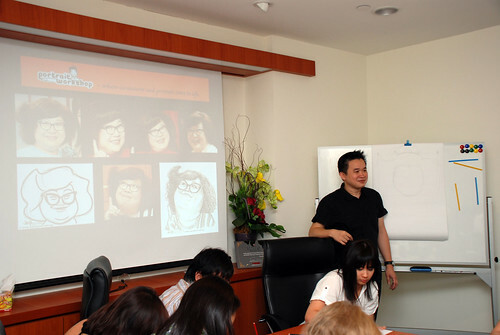 This is about basic cartooning, which can be translate into caricature. 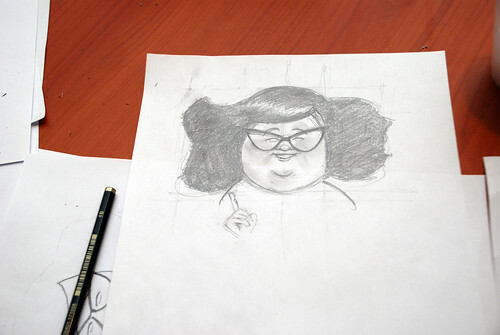 In fact, cartoon is derived from simplification of what we see. 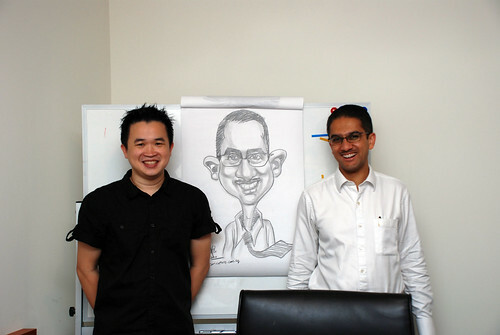 Thus, cartoon and caricature are co-related. 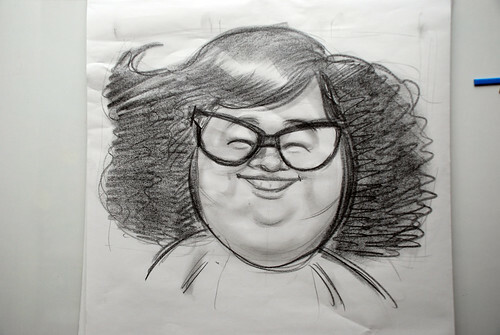 Caricature is more sophisticated, as you need to inject likeness into it, on top of the exaggeration. 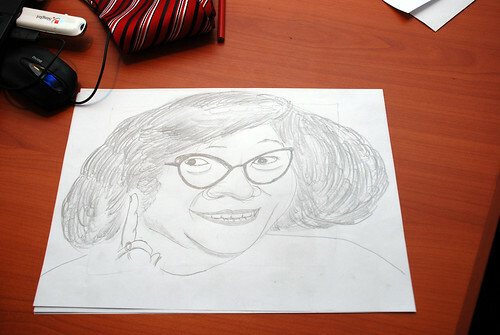 From one look, without looking at the reference photos or captions/names (if there are) next to it, you can tell who that subject is. 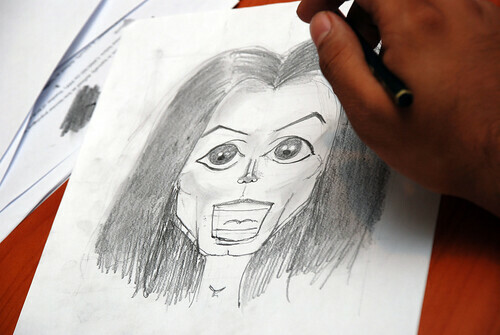 We have time for another caricature subject - Michael Jackson. 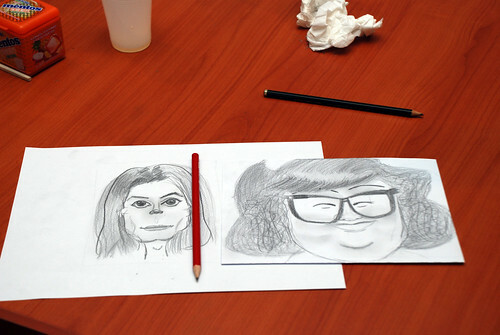 A more angular face, vs a round face of Lydia Shum just now. 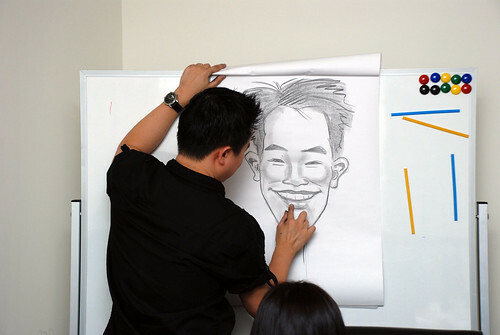 Live sketching of a student with unique features. 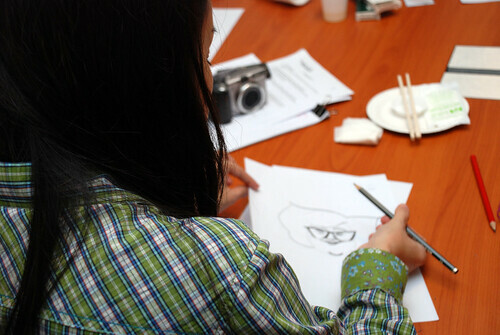 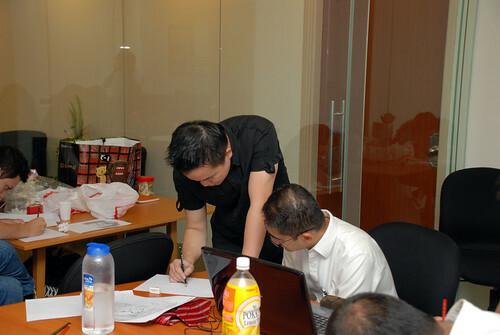 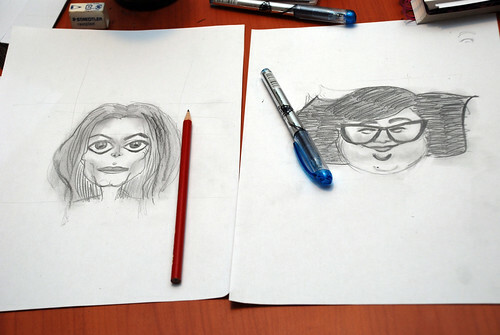 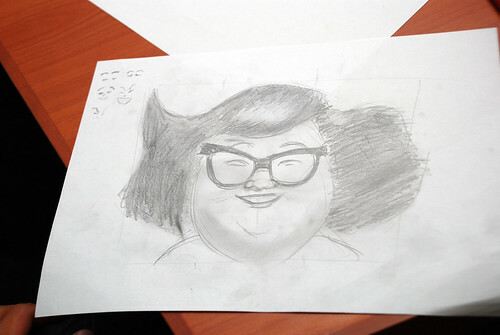 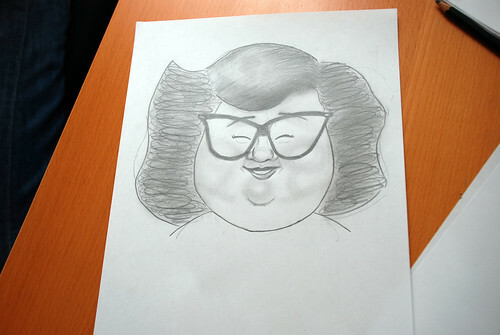 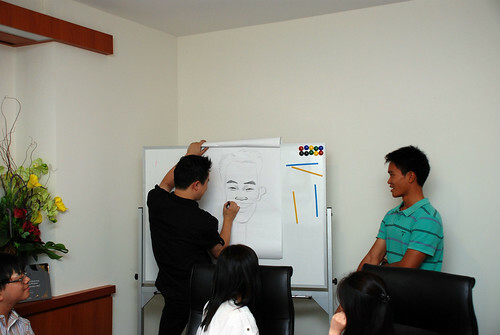 Some snapshots of the students' artworks by my friend, Eddie, while I was doing my live sketching. 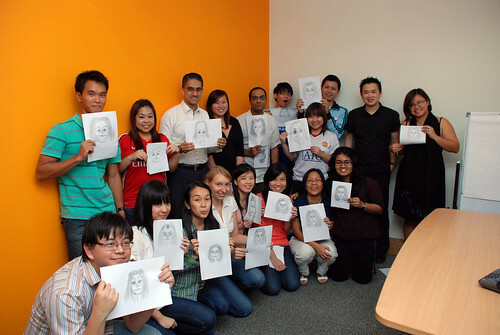 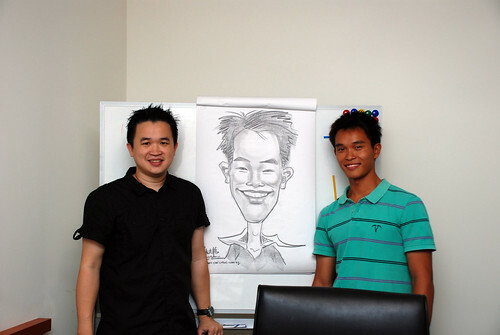 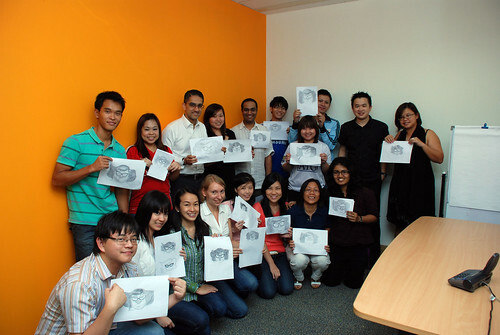 Class photos, one with their Lydia Shum's caricatures, and one with their Michael Jackson's caricatures. 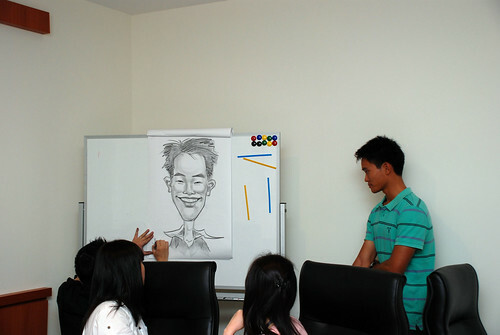 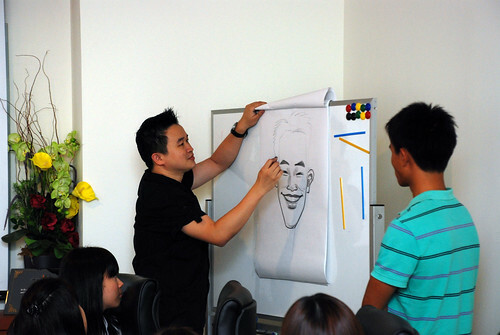 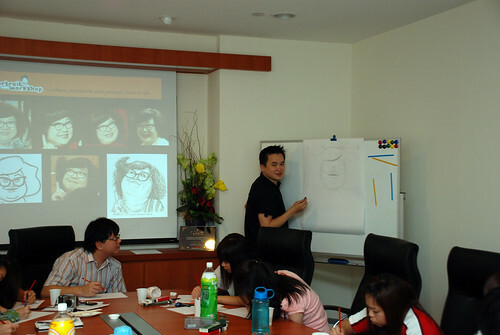 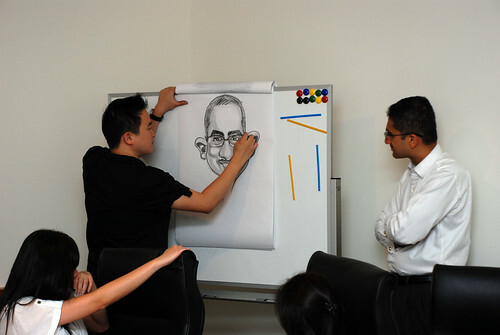 A video of this caricature workshop. 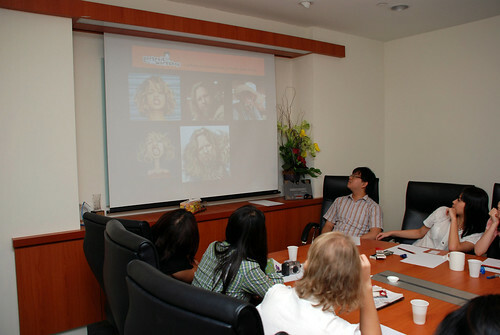 The workshop has been well received by my colleagues.